Unicorns: rare creatures that look like simple horses, yet there seems to be something spiky protruding from the heads of these majestic beasts. Although these animals do not exist in nature, there is no doubt that they are intriguing to think about. The name Unicorn Bliss Jackpot suggests serenity and with the infinite number of tries needed to crack this jackpot you will no doubt find that serenity. Essentially what we mean by that is the jackpot in this slot isn’t fixed, thus allowing multiple attempts to win big! We feel like slots generally like to take themselves too seriously sometimes, thus making them un-interesting by proxy. We are happy to confirm that this is not one of those slots. Instead this is a dip into the wacky, and a dip into the deepest parts of your imagination. Don’t judge this slot on name value alone. This is one that doesn't take itself too seriously and neither should you. Brisbane Australia’s own signature game developer Eyecon is known not only for its deep rooted passion for creating unforgettable online experiences, but also ways in which to also push themselves forward within an industry that has thousands upon thousands of titles. What tends to happen when people see the Eyecon tag is very profound: they get excited, excited in the fact that there is endless amounts of potential on the brink of the horizon. When you see Eyecon, you think iconic, do yourself a favour and prove them right, play their games (you’re welcome). This is a 5 reel slot that runs alongside 25 pay-lines. Bets can be placed from as little as 0.25 to 12,50 per spin. This is perfect for those that have a specific play style and don’t want to wander to far from an intended path. 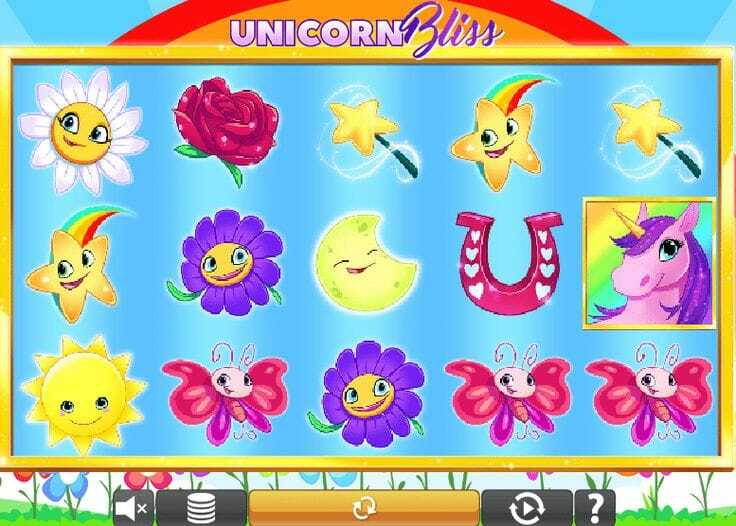 Unicorn Bliss Jackpot is full of bonus features, expect wilds, scatters and free spins to accompany a very unique graphically sound slot. We cant stress enough the beauty in design at play here. Yes it’s full of sunshine and rainbows, but yes it is also a fun slot to play when you want a break from the drab and dreary. 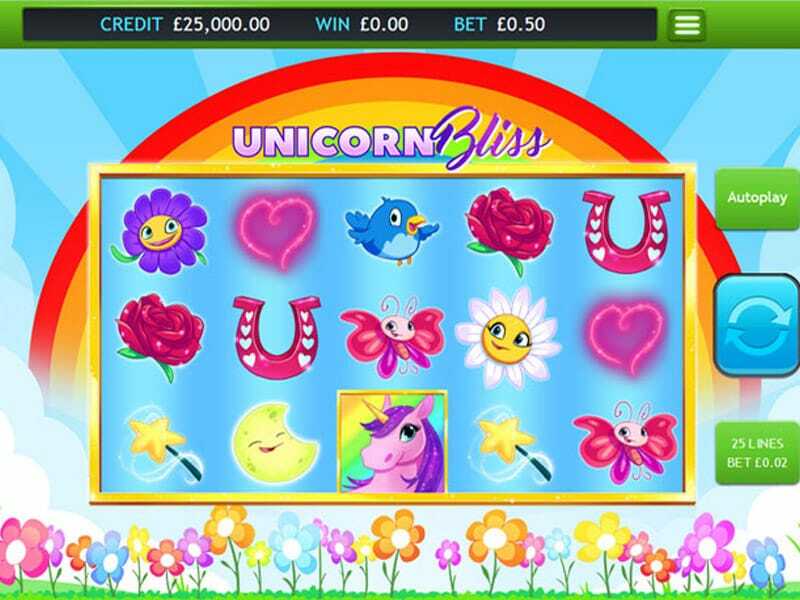 With a 94.90% RTP, there is also some rather generous pay-outs on offer here.There is a base game of Unicorn Bliss, although the Jackpot element in this slot makes it a little different. If anything it encourages repeated plays, which is not a bad thing trust us. Fixed jackpots are fine and all, but once you experience the other side it will be hard to go back.